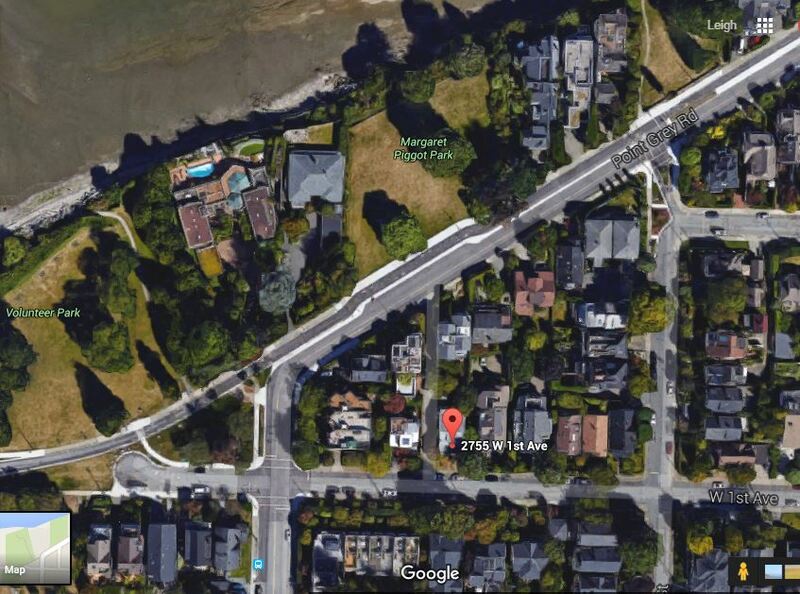 Blog › November 2015 | Leigh Freeman - Macdonald Realty Ltd.
For Sale - Point Grey character home site one block from the waterfront! Looking for a valuable home site, one block from the waterfront in the Point Grey neighbourhood? Prime Kitsilano character house with plans to transform into a new, spacious 3 storey home with new foundation and 12 x 22 rooftop view terrace. Building permit application to be submitted for anticipated April-May approval. One block from Point Grey Rd and Margaret Pigott waterfront park. Plans for this Kitsilano building site at 2755 W 1’st Ave are available, where the owner is undergoing an extensive heritage revitalization agreement with the City that will allow a 3,286 sf house to be built on the 3,960 sf lot. (83% FSR). The prime location which is one block from the waterfront Margaret Pigott Park on Point Grey Road, offers a seaside lifestyle and secure investment. The new plans show a three story rebuild which retains the heritage exterior facade and bumps up the roof to allow for sweeping, unobstructed harbour and mountain views from a roof top deck. The 3 bedroom plus one bedroom basement suite design, includes a 2 car basement level garage. An ALTERNATIVE PLAN application for a 3 UNIT CONDO development is possible. Priced at $2,600,000 for the property sale and plans, this property is available for a very limited time. If interested in receiving the preliminary plans and more information send me an email request or call 788-233-8888.